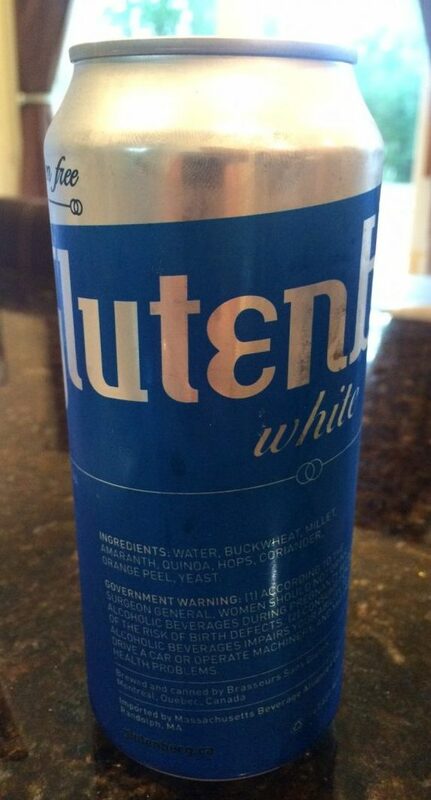 I feel at a bit of a disadvantage when tasting Glutenberg White. This Belgian Wheat style brew is a style that has become popular, and commonly available since the time I was able to drink regular beer. If you ask me to review a lager or an ale my comfort level, and experience with these styles goes back to the 1990’s. But for this Belgian style, popularized by beers like Blue Moon, I’m a “rookie”. 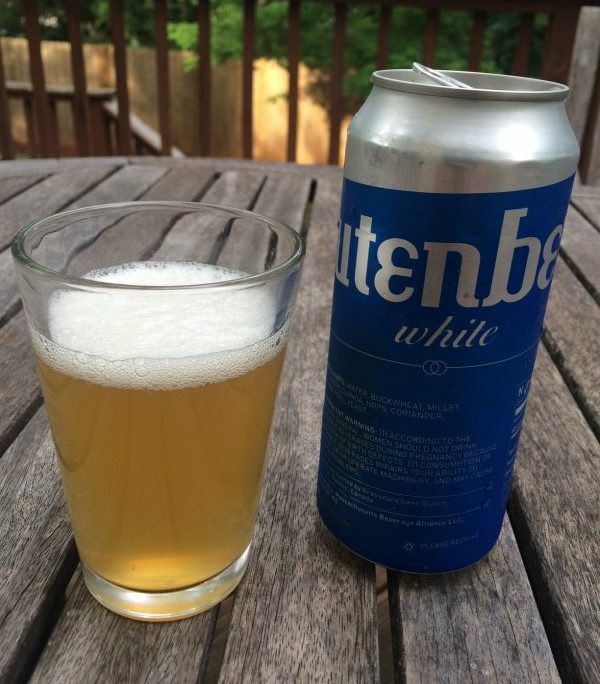 However, if Glutenberg White is representative of this style, can quickly tell why this style of beer became so popular in the U.S. and Worldwide. It’s hard for me to tell you just how excited I became when I heard that my state of North Carolina was going to carry the line of Gutenberg beers. The Glutenberg reputation of good tasting, quality, gluten-free beers preceded itself. My friends in other States in the U.S. have been talking about Glutenberg for years. Now that I’ve tried a few styles of Glutenberg’s offerings I can now backup their claims: Glutenberg brews excellent gluten-free beers! Glutenberg White is a good beer, but the big breakthrough for the Glutenberg Brewing Company is that fact that they use truly innovative, gluten-free ingredients, (Buckwheat, Millet, Amaranth, Quinoa,) that don’t include the notorious Sorghum, and without resorting to the controversial method of removing the gluten. This is a beer that tastes great and is safe for Celiacs. My hat goes off to Glutenberg for making beers like this one! Look- cloudy, pale- caramel color with a thin, white lacy head. Smell – bitter hoppy smell with a hint of citrus. Body – light-bodied and frothy. Taste – light, citrusy and grainy taste with a smooth citrusy middle and a very smooth finish with a lingering taste of coriander. Overall this brew is a little light for my typical beer taste, but it was still very drinkable. I’d be happy to drink it anytime!